Around this time of the year people throw out the term ‘Oscar bait’ quite frequently. This usually is a way to criticize films that are dramatic and that the studios believe could win Oscars. Some films are clearly not deserving of the studios faith (In the Heart of the Sea…) but in general I reject the term ‘Oscar bait’. To me it is like criticizing the girl in class who studies too hard or is too ambitious. I mean how dare she try to be best in her class… Anyway, I bring that up because Manchester by the Sea is a movie some will criticize as ‘Oscar bait’ but that is stupid as it is actually a gut-wrenching well made film that deserves awards consideration. 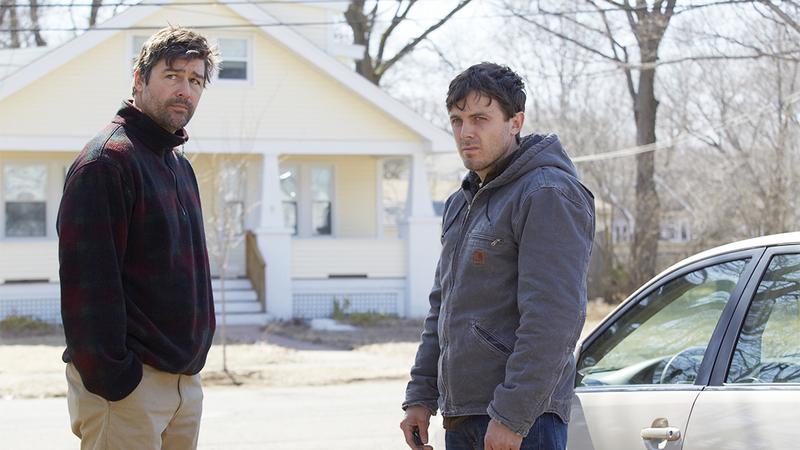 Manchester by the Sea is about a man named Lee played by Casey Affleck. Lee is a wounded man who says little and looks perpetually tired throughout the film. At the opening he finds out his brother Joe (Kyle Chandler) has passed away from a heart attack and he must go to his hometown of Manchester to take care of things. Lee then finds out he has been made the guardian of his nephew Patrick (Lucas Hedges) which opens up the wounds of the past and forces Lee to forgive and grow a little bit. I admit the first 15 minutes or so of Manchester by the Sea I wasn’t very engaged. I was thinking- ‘oh no. This is going to be super boring’ but then something happened where it started to click for me and it’s hard for me to think of a movie where I was more emotionally engaged this year. I didn’t just cry with Lee. I cried a lot. I won’t give away spoilers but trust me Lee has reasons to be wounded. His ex-wife Randy (Michelle Williams) also has reasons and teen Patrick has reasons. However, the great thing about the script is I was emotional without feeling emotionally manipulated. I grew to really care about this family. Their agony felt real and their various responses seemed genuine. For example, there is a scene where Patrick sees something that reminds him of his Dad and he breaks down. A lesser script would have weeping and wailing with the uncle giving a dramatic speech. Here Patrick says ‘I’m having a panic attack’ and Lee says ‘I don’t know how to deal with this’. That is honest writing. Manchester by the Sea also uses flashbacks so well. I think Kyle Chandler should have won best supporting actor for Carol last year. I also loved him in Friday Night Lights and Early Edition. He’s a fantastic actor and he’s great here as Joe. You get the feeling he is the one person holding all these fragile pieces together and now he is gone. It’s just devastating. There are so many places this movie could have gone over-the-top into sentimentality and theatrics but it always makes the more sincere, softer approach. It feels so real and I related to it quite strongly. My family has not had this trauma but we’ve had our own share of troubles, and I could relate to the way someone like Lee shuts down or Patrick pretends he is just an ordinary teen. I think most families will be able to relate to this film. Michele Williams is only in a few scenes but she is so great. In one scene in particular she shows forgiveness and love in just the right way. It was beautiful. Manchester by the Sea is not an easy watch. It is brutal and gut-wrenching. It also has a lot of profanity so be forewarned. However, if you can handle it, the end experience is worth it. 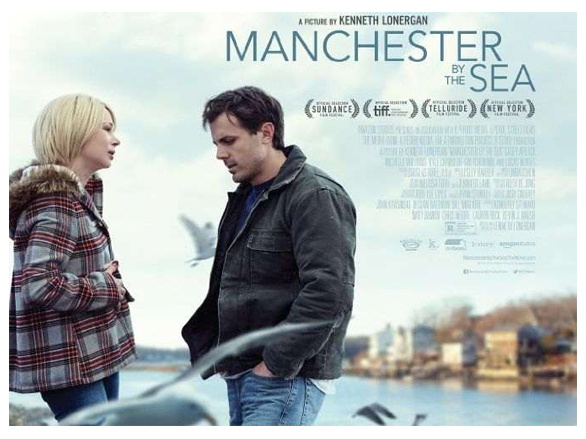 Most importantly Manchester by the Sea will make you think about life, your pains, griefs and how you treat others. Lee is a wounded man who picks fights at bars and fails to communicate his pain with others. He would be an easy man to judge if we met him in real life. 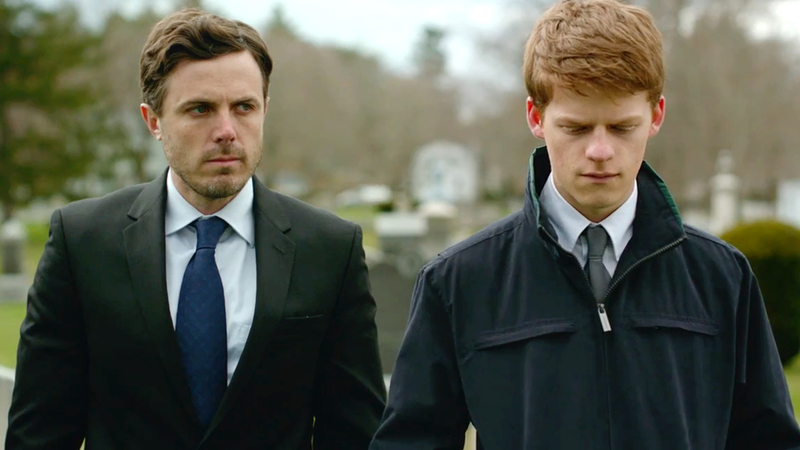 However, Manchester by the Sea reminds us that we should maybe take a step back from our judgements until we understand what the other person has been through. We may go from derision to admiration once we know the whole story. ps. I will never look at frozen chicken the same way again. I too mostly reject the term “Oscar bait”. Funny thing is most of the time the same movie wouldn’t be labeled that if it came out in April, July, etc. Manchester is getting a lot of critical buzz. Good to hear it deserves it. Well, I don’t really have a problem with the term, “Oscar bait”, as I don’t think it’s criticizing or derogatory. To me, it’s just a film that was made with the intention of getting Oscar noms; that’s it. So there’s nothing derogatory about it to me. But isn’t making a movie good with the hopes of getting an award for it the same as studios promoting those same movies for awards because they’re good? I mean, I know there are people who make movies to make money. They don’t intend on being noticed in awards or anything, but they just make movies for money. I think there’s a scene in the ‘Ed Wood’ movie to that effect. So likewise, I feel people who make a movie to be good do expect it or at least won’t be surprised if their movie gets nominated. 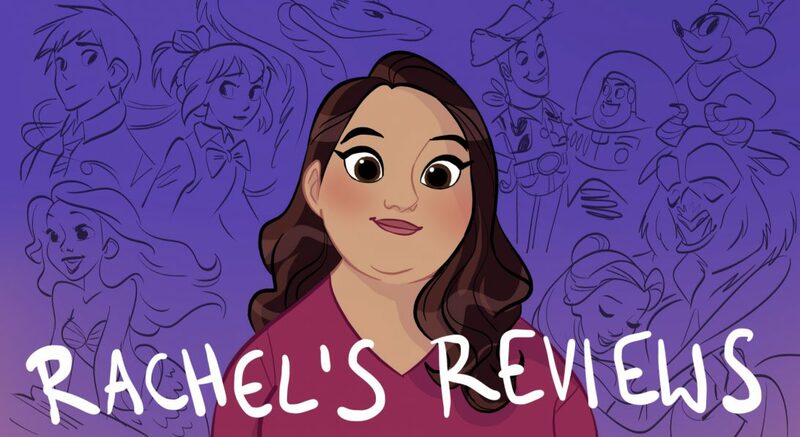 Pingback: Lady Bird Review – Reviewing All 56 Disney Animated Films And More!